It's Christmas Eve. Angela Bridges (Rachel Nichols) works late before she leaves for her family's holiday party. When she gets down to the parking garage, she discovers that her car won't start. The garage is deserted and her cell phone doesn't get a signal underground. 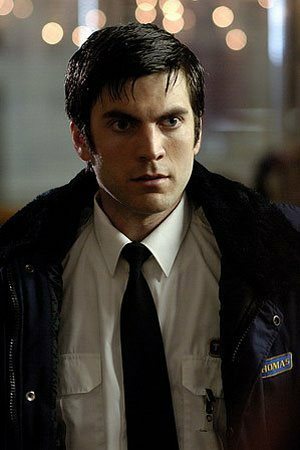 Thomas (Wes Bentley), a friendly security guard, comes along and offers to help. After a failed attempt to start her car, he invites her to stay and share a small Christmas dinner in the parking office, but she laughs it off. Angela doesn’t realize this is no laughing matter - Thomas has been watching her closely...for months. His dinner invitation is not optional. 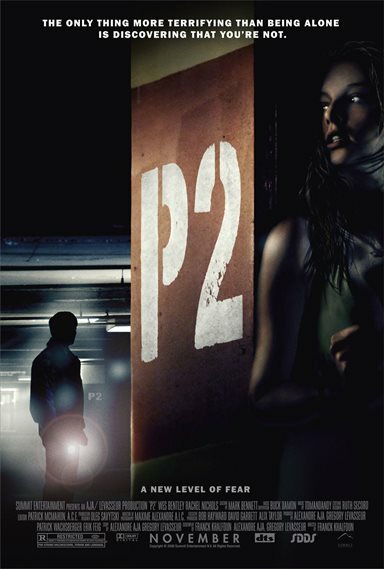 If Angela wants to live to see Christmas morning, she must find a way to escape from level P2 of the parking garage. Download P2 in Digital HD from the iTunes store. P2 images are © Summit Entertainment. All Rights Reserved. P2 images © Summit Entertainment. All Rights Reserved.